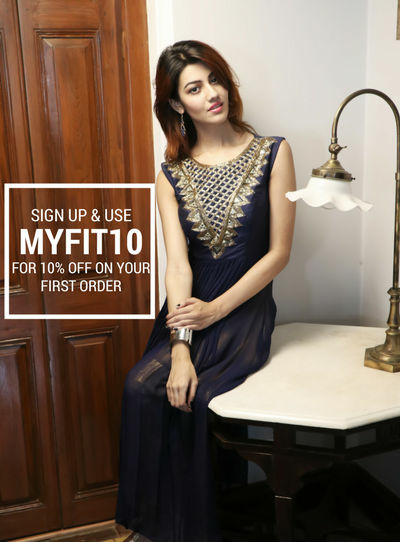 StitchMyFit is the pioneer in online shopping for ladies Indian wear offering made-to-measure designer clothes offered by our in-house stylist as well as several boutiques. We provide tailor-made designer dresses stitched as per your measurements, as we believe that you should not try to fit in to clothes, they should fit you! Thanks for booking the stylist session. Please help us locate you. Looks like the page you are looking for is no longer available. Browse through our website for the best bespoke experience!